If cremation is your choice, you have many options. Cremation services can include any or all of the elements of a traditional burial including visitation, wake service, and a funeral service at the funeral home or your church. Following the funeral service, veterans and their spouses can be interred at the Florida National Cemetery in Bushnell, FL. Veterans who choose cremation have a choice of in ground burial or above ground niche entombment. Both the veteran and spouse will be buried together in the same grave or niche. Cremation as simple as One, Two, Three. 1. Traditional Funeral with cremation includes the use of a cremation casket of your choice or a rental casket, visitation at our funeral home and a funeral service the next day at the funeral home or your church. This option gives both family and friends the opportunity to say their good byes and assist in bringing closure to the mourning process. Once the cremation is performed interment can be at the cemetery of your choice. For a Veteran interment can be in ground or in a collumbarium niche at Florida National Cemetery or any National Cemetery, even Arlington National Cemetery. 2. Memorial Service is a funeral service where the deceased has been cremated and placed in an urn. The urn is displayed along side pictures, cherished items of the deceased during the memorial service at the funeral home or your church. Following the memorial service, interment of the cremated remains can be at the cemetery of your choice and for veterans we will go in procession to the Florida National Cemetery for the Veterans Honor Guard Service and interment. Interment for a Veteran and his or her spouse can be at any National Cemetery, and even Arlington National Cemetery. 3. Direct Cremation includes the cremation of your loved one and his or her cremated remains returned to you. We can also arrange for a veterans interment at Florida National Cemetery in Bushnell, FL, any other National Cemetery and even Arlington National Cemetery. 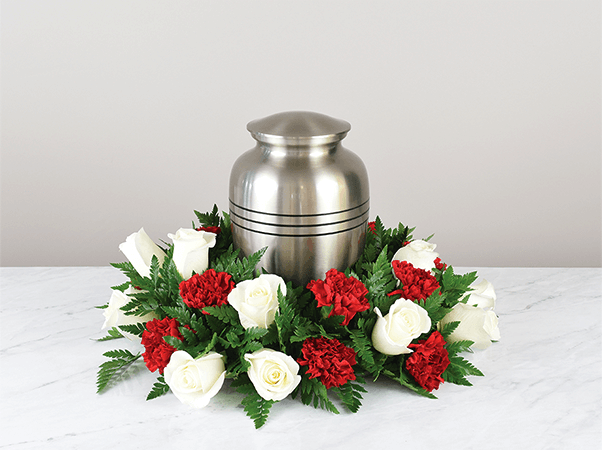 We can also arrange for the scattering of ones cremated remains in the Gulf of Mexico or even shipping cremains to a northern funeral home or cemetery. There are no services of remembrance with a direct cremation.